What do you get when you take a MediaCenter user with some coding skills who switches to SageTV as his primary HTPC? 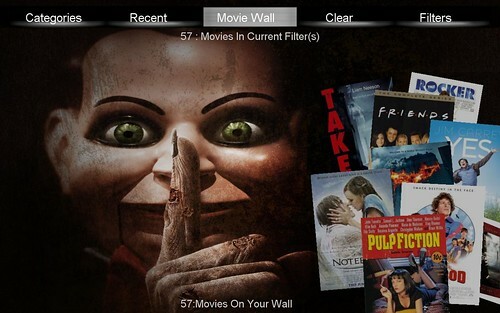 The result is an beautiful, free add-on User Interface for your movie collection called "Sage MovieWall." Sage MovieWall has been in development for several months and is still in beta, but in my opinion has made some significant strides and looks absolutely fantastic. This is just one example of how much can be done with SageTV Studio (A tool that allows for development & customization of the SageTV User Interface). Skye (known as PluckyHD on the SageTV and Greenbutton forums) has been working on an alternative interface for the movie application with plans to expand to other portions of SageTV at some point. 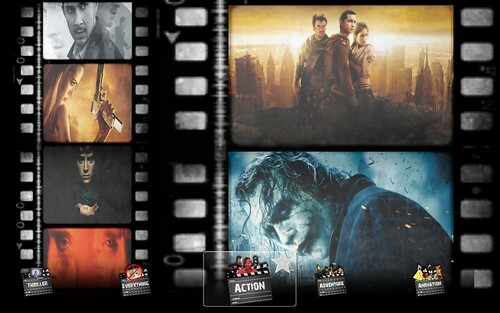 remember many of these are different options within Sage Movie Wall itself as there is an incredible amount of customization that you can do with your remote control - to make it look the way you want it to. Many animations are built in that you can optionally turn on or off also. 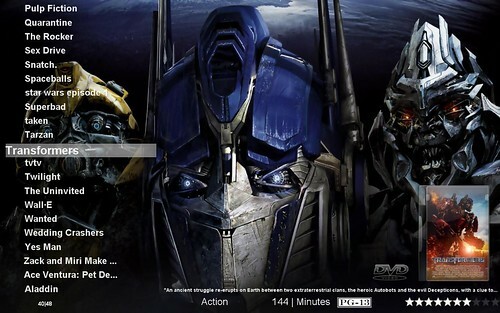 Most of the ability to browse full DVDs in their pure form (ripped or most other formats) , Blu-Rays etc from any extender, HTPC or "softsled" client PC is already built in to SageTV. This plugin doesn't "enable" that as the funtionality is already there - instead this add-on changes the way you browse the UI and the visuals you see while doing so. No special setup of the movies, movie folders etc is required as that is already done if you are using SageTV - since it already does that for you. Batch Media Tools (a very powerful add-on to automatically obtain cover art, metadata etc for each movie, TV and music media) is not required but highly recommended. As this is still a beta, I recommend you back up your SageTV install and settings before installing - just in case. Here's a few more screenshots to check out. I'll try to post a screen-cast video so you can see the animations in the next week or so as well. 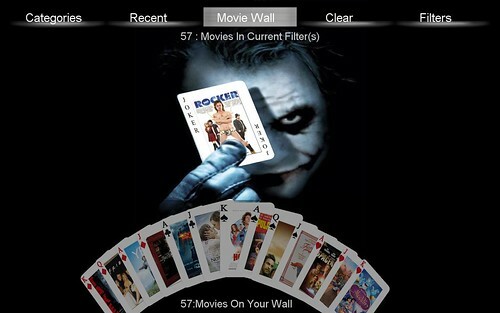 MovieWall view - This concept is as expected, a "wall of movies"
List View - One of my favorites. I've been using one of the earlier beta versions in testing, but haven't been home long enough to test this latest version. Can't wait as it looks great.